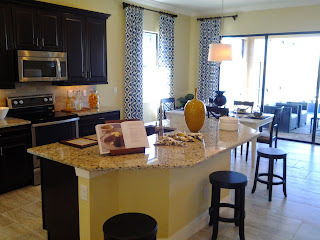 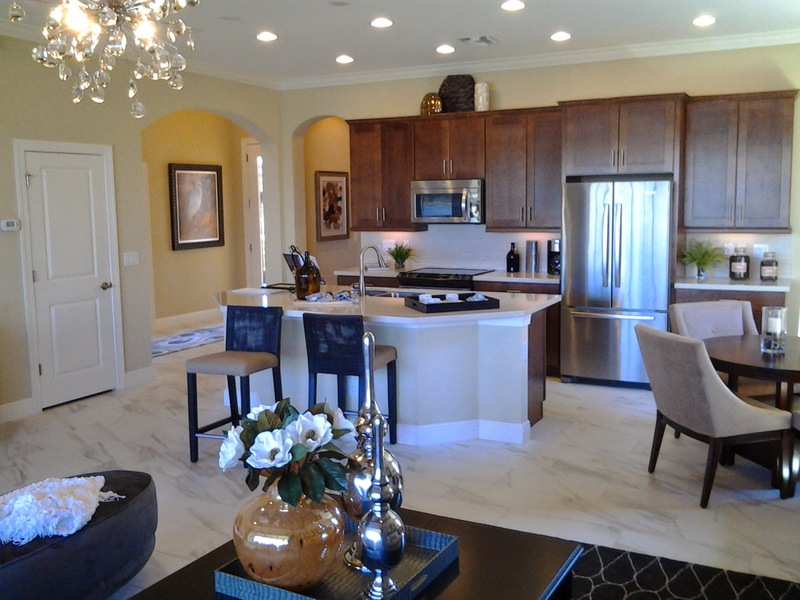 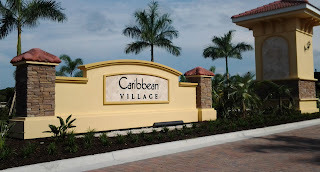 The model homes in Sarasota National, compared to the nearby new homes community Gran Paradiso, seemed to be finished in more contemporary materials, such as ceramic plank flooring, updated mosaic back splashes, and lighter kitchen cabinets. 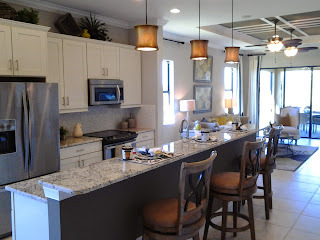 In addition, I found the floor plans to make better use of available space with open plan concepts, as opposed to Gran Paradiso, which offers formal living and dining rooms. 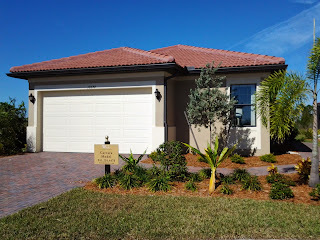 Most of the non-golf course homes and villas have annual association fees around $2400, which includes basic cable, water, and shared community amenities. 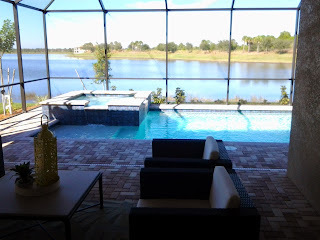 This makes the fees in Sarasota National a bit higher than those in Gran Paradiso, or recently reviewed Keyway Place in Englewood. Sarasota National also has a CDD fee averaging $1100 annually, depending on the type of home. 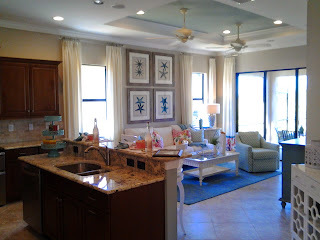 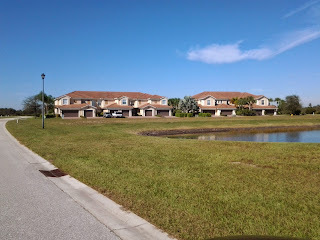 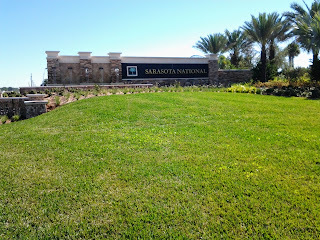 There is a large selection of front elevations and floor plans in Sarasota National; in fact, too many to name here. The coach home condos start at $189,900, and increase to golf village homes at $407,990. 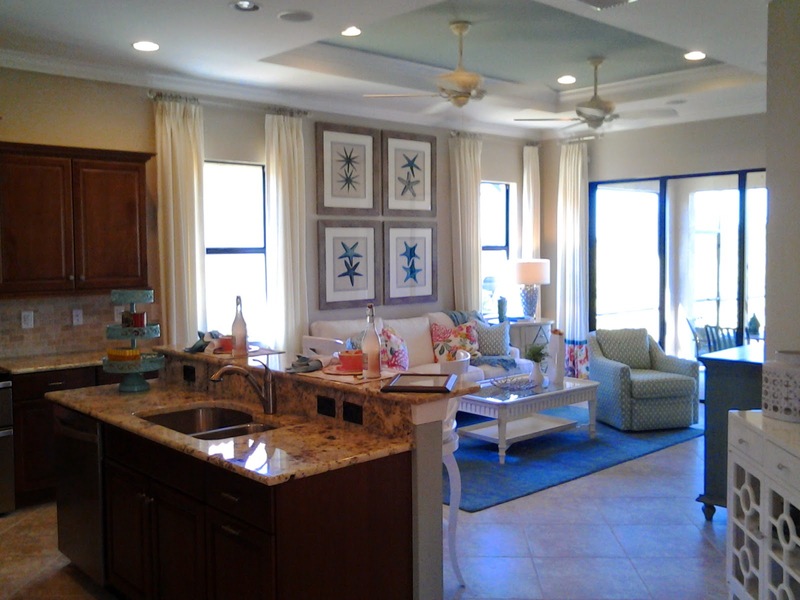 Home buyers will have no trouble finding a floor plan and price point to meet their needs. 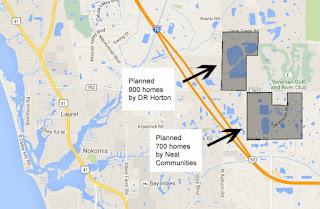 Sarasota National covers a huge area, which will take the next 8 years to be built out. 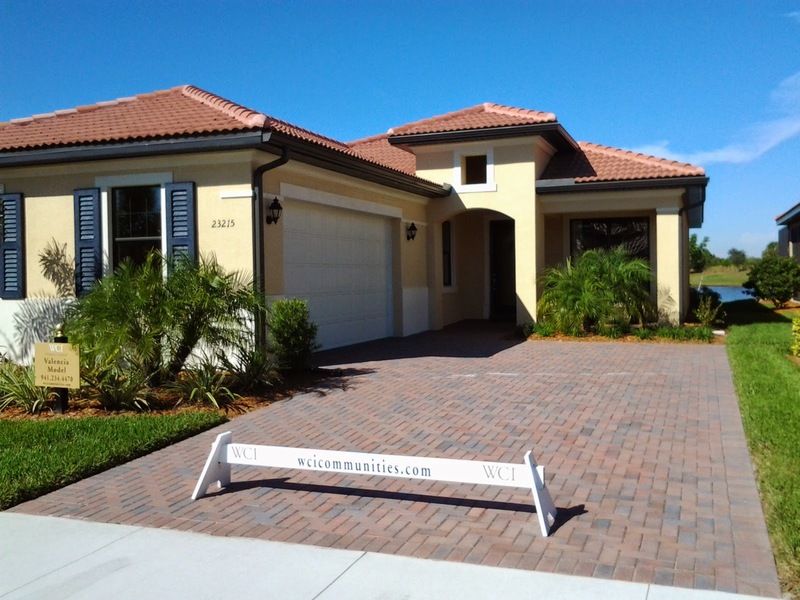 Full disclosure: Berkshire Hathaway HomeServices Florida and WCI communities are affiliated businesses.